Keeping with the Love theme (last week we were supposed to Capture a Heart) this week's prompt is asking us to 'Feel the Love'. A bit unorthodox maybe - but you have to see the distances this child goes to create these pieces of pure love. He'll crouch on the floor for hours and hours at a time, painfully arranging each piece in its perfect little place. The details are amazing, nothing is left to chance, everything has its use, even only as decorum. Colours are matched with grace, and stories are created. I call this love - how would you call it?! Thank you again for visiting - and please make sure you do 2 things: come back tomorrow for a special giveaway (very special!) and feel all the love shared by the group at Sally's. Wonderful Alicia. Kids have such an affinity for building blocks. I have several grandkids, who can't even tie their shoes, but give them Lego's and the sky is the limit. What a creative soul he is. All that time and thought right down to the details. Yes, I would call it love! That is what used to be called a labor of love! How perceptive you are to see that! Yes I call that love and devotion! My nephew Brandon is the same way about his Lego's. I actually got this instantly as I remembered my own son and his immersion in lego land. And is love indeed. Great idea for this week! I can't even begin to tell you how much I love this! My hubby and son will spend hours, days, building and creating. Such concentration and devotion - love. That is so detailed and meticulously laid out. I can feel the love that went into making it. Wonderful project he's got going on there! he has really thought it through - ha! My girls build entire cities with their petshop friends designing buildings and rooms ... they will be at it for days and I can hear them acting out the various characters. It is so much fun! Awwww, I love it. Such attention to detail. Such PATIENCE. Such imagination. What a labor of love! I love how kids can come up with thier own stories from the creations they make! Alicia, for a kid to have the patience to sit in one place and take the time to put all those little pieces together, for them to do this it has to be motivated by love! A boy and his Legos! That's love for sure. His patience will take him far in life, too. He did such a great job. I love children's imaginations .. so much thought went into everything he did. 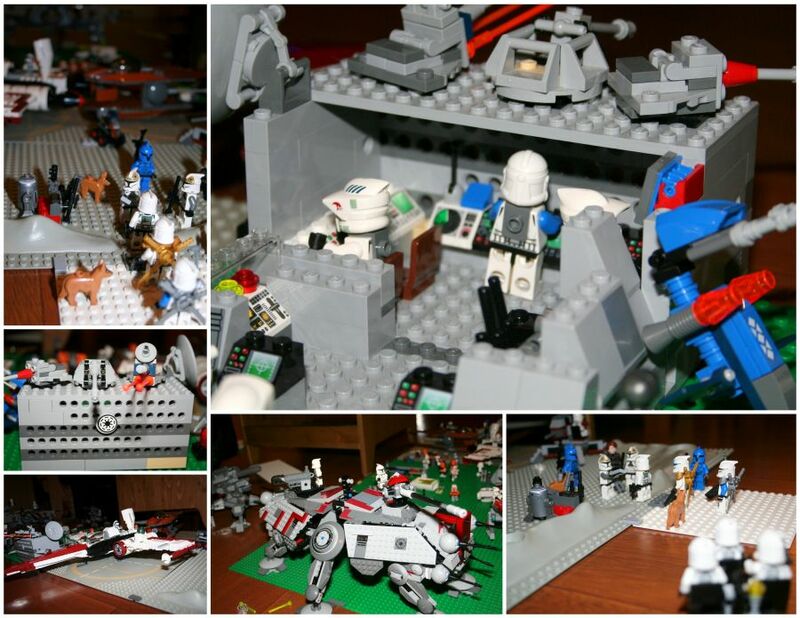 Your son's Lego scene is fantastic. What fun he must have had in creating and then describing what he had created. And how thoughtful you are to have taken a picture of it.